After taking my old, battered and memory-filled suitcase to the tip, it was time for an upgrade and Osprey had just introduced their new Rolling Transporter range, which caught my eye. In particular, the striking Kingfisher Blue 120. Why 120L? 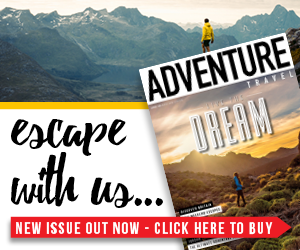 Well, being a writer for Adventure Travel magazine, I’m often travelling with a lot of photography equipment and most importantly, I’m also a serial over-packer. So, the 120 it was. It’ll also be the perfect size for myself and my boyfriend to share the next time we go away together and I don’t need to bring all the extra equipment. 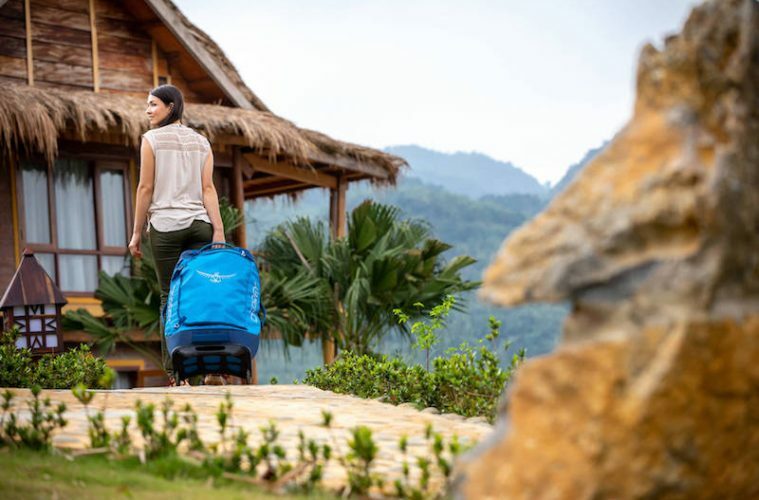 Osprey claim that the Rolling Transporter 120 is ‘adventure-proof on wheels’, this was thoroughly put to the test as I took the pack on a two-week trip to Bali (where it was dragged here, there and everywhere) and also a week-long trip to Slovenia. 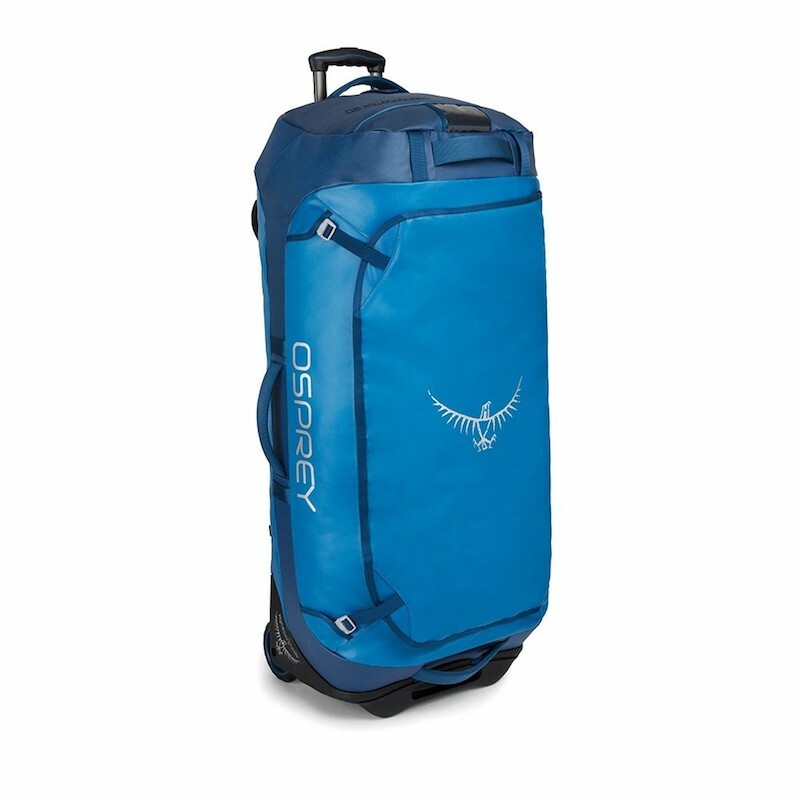 Fair play, the Osprey Rolling Transporter 120 took everything that Bali threw at it. It was thrown onto planes, taxis, boats and a horse and cart, it was also rolled through back streets, beaches, paddies and even jungle at one point. Its little wheels kept going and going and my stuff survived all of the journeys without getting wet or damaged. 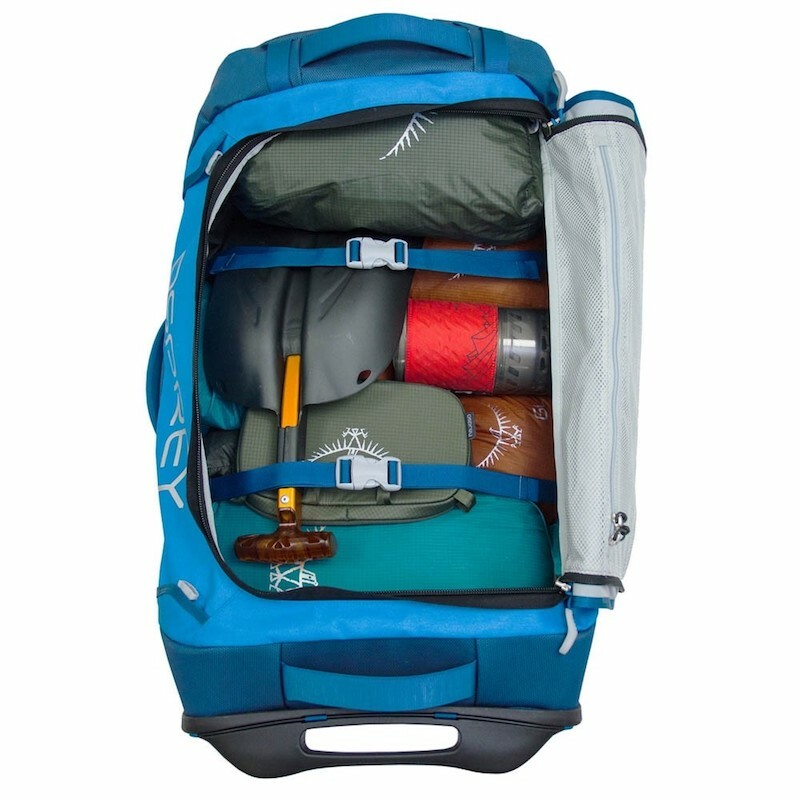 It’s basically a giant duffle bag on wheels – beautiful in its simplicity. But there’s so much more to the Rolling Transporter than meets the eye. 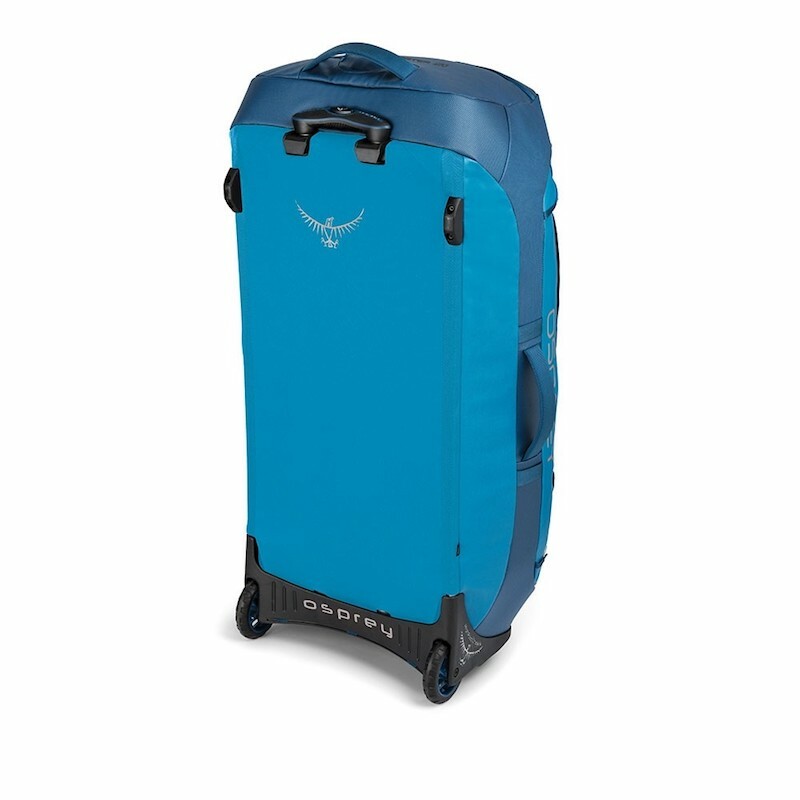 It’s constructed using a durable and water-resistant laminated nylon fabric (if you’re heading to Bali, man it can pour, so you’ll need it) which makes the Osprey Rolling Transporter 120 one tough not-so-little cookie. If you’ve fallen in love with the Kingfisher Blue like I did, just be prepared for it to show the dirt. I waved goodbye to my squeaky-clean Rolling Transporter at London Gatwick to see it shimmy down the conveyor belt in Bali looking like it had wheeled itself through a war-zone. I still love it though, battle scars and all. 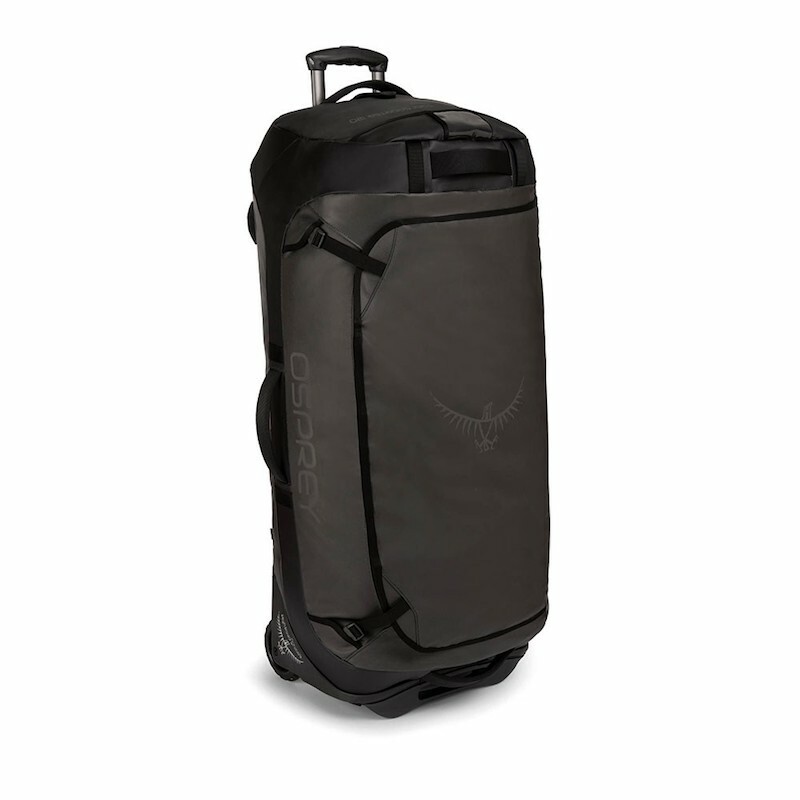 The main compartment has a kind of barrel-like shape and the underneath is very firm, this made packing super easy and the best bit? Everything fit. It also has a large zipped opening which allows you to pack all your stuff just as you would in a suitcase. 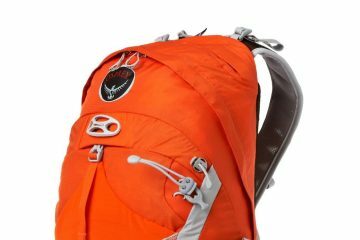 Once all your things are inside, you can use the clipped compression straps to make sure nothing bangs around too much and once you’ve zipped the pack up, there are two clips on either side for added compression and security. 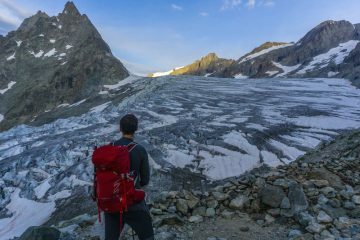 When it comes to storage, the pack offers a generously sized zipped pocket situated on the top end, which was plenty big enough for me to store a couple pairs of shoes. Inside, the pack has a very large mesh pocket that is separated into two sections, this is where I shoved all of my toiletries and other bits and bobs. Also, being able to see everything through the mesh made easy work of grabbing items when I needed them quickly. 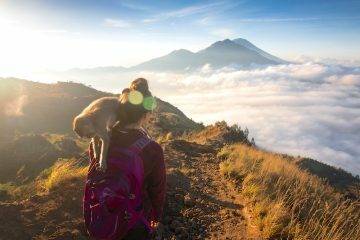 Other features of the Rolling Transporter include two four sturdy grab handles, which are a God-send when trying to heave it off a small boat, lockable zips for added security, an ID card holder, and a retractable metal handle to aid pulling the pack along by its wheels. May I add, that the retractable handle didn’t let me down, which is often a feature on other suitcases that is unreliable. 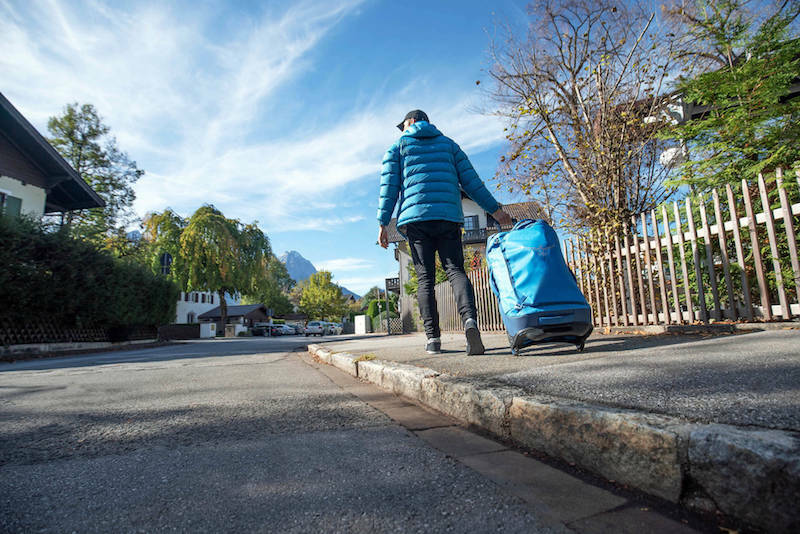 All in all, I was very impressed with the Osprey Rolling Transporter 120, not just for its maximum gear-packing wizardry but for its style, ease of packing and abundance handy features. 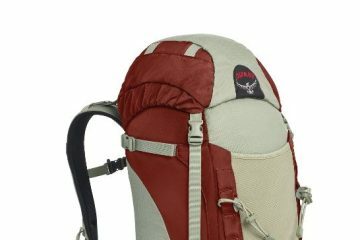 I’d recommend this pack to any adventurous soul with a lot of kit or a couple who like to share just the one piece of luggage. 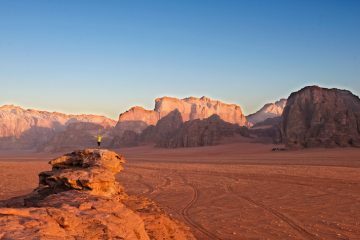 If 120 is too big for you, then you’ll be glad to know there are other smaller sizes available in the range, so head over to the Osprey website for more.